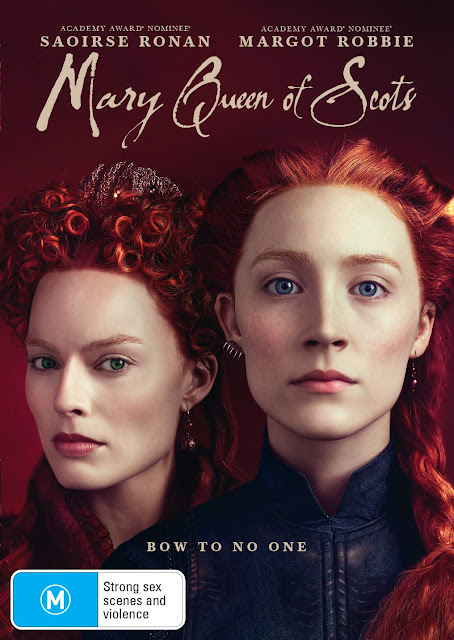 The historic epic Mary Queen Of Scots will be released on DVD and Blu-ray in Australia on May 1st 2019. The film stars Saoirse Ronan as the titular Mary with Margot Robbie as her cousin and rival for the English crown, Elizabeth I. David Tennant features as the outspoken Scottish preacher John Knox, who questioned the right of women to hold such power. Other cast members include Guy Pearce, Joe Alwyn, Jack Lowden, Gemma Chan and Martin Compston. Mary Queen Of Scots was directed by celebrated theatre producer and director Josie Rourke.